Can Dogs Eat Peaches? Are Peaches Safe For Dogs? Can dogs eat peaches? 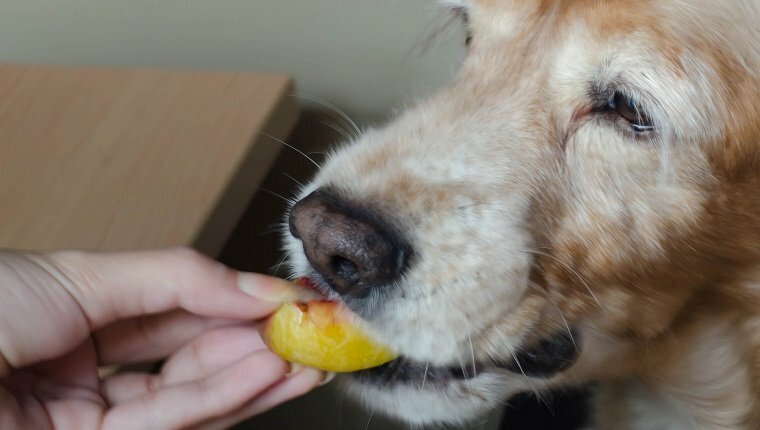 The short answer is yes, dogs can eat peaches, but before you serve your dog some of this yummy fruit, there are some things you should know. Peaches are loaded with beneficial nutrients that can be good for your dog’s health when they are served properly and in moderation. Too many peaches can lead to gastrointestinal upset and diarrhea, and the pits of peaches can present a serious choking hazard or cause intestinal blockage among other issues. If you prepare a peach, yourself, and remove the pit, it will most likely be a healthy, tasty treat for your dog, but you should always ask your veterinarian before sharing human food with your furry friend. 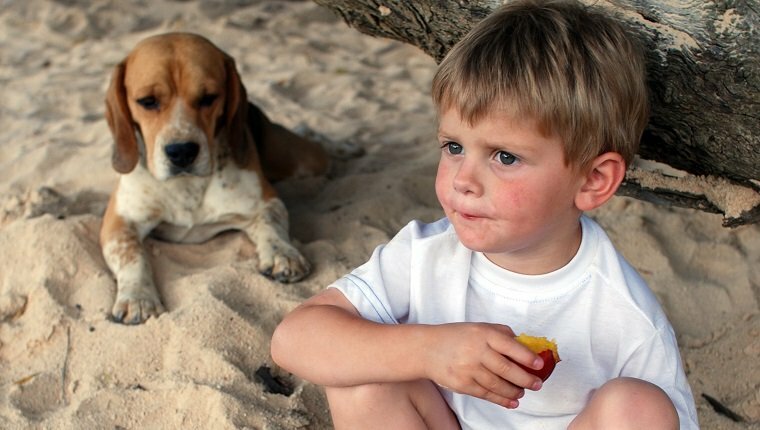 Here is what you should know about feeding peaches to dogs. How Are Peaches Good For Dogs? Peaches are loaded with plenty of vitamins and minerals that are good for your dog’s health. They contain vitamins A and C, and they are low in calories and high in fiber. As a source of antioxidants, peaches can help ward off cancer and boost the immune system. They also help improve the functions of the liver and kidneys. So long as peaches are served properly and in moderation, they are a healthy snack that can even be used as a refreshing reward during training sessions. When Are Peaches Bad For Dogs? The main danger for your dog when it comes to eating a peach is the pit. The pits of peaches are hard, and if your dog tries to chew one, they can damage their teeth or jaws. A swallowed peach pit can present a choking hazard or cause a dangerous gastrointestinal obstruction. The serrated edges of peach pits can cause damage to the mouth or internal organs. In short, you should never expose your dog to peach pits. If your dog manages to swallow one, watch for signs of gastrointestinal distress and contact your veterinarian immediately. There’s an issue of lesser concern with peach pits that’s still worth mentioning. Peach pits contain trace amounts of a cyanide compound. Your dog would have to consume a lot of peach pits before getting cyanide poisoning, but it’s just another reason that it’s not worth the risk of exposing your dog to them. When the pit is removed, peaches are usually fine for dogs to eat, though you should know where your peaches come from and wash them thoroughly, as they may contain pesticides or herbicides that could make your dog sick. Also, avoid canned peaches and peach-flavored foods, as these are usually full of sugar and chemicals that are bad for dogs. Eating too many peaches can cause gastrointestinal upset, vomiting, and diarrhea in dogs, and the fruit contains some sugar. It’s best to keep peaches as a sometimes-treat given in moderation. 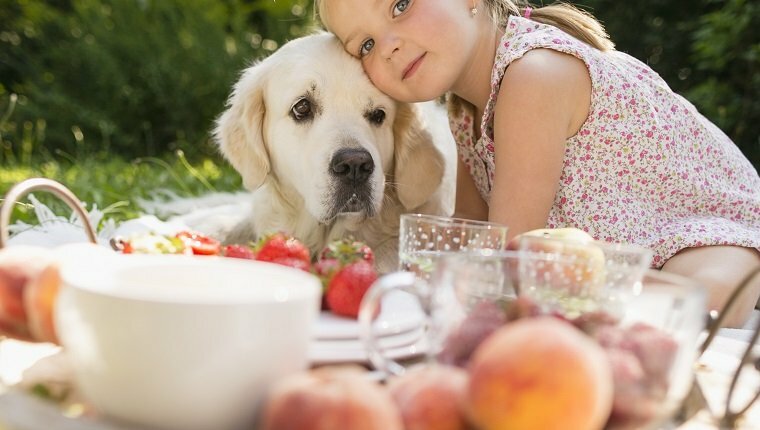 As with any food, there is a small chance that your dog may be allergic to peaches, which can rarely lead to anaphylaxis, a potentially life-threatening condition. If your dog shows signs of an allergic reaction, including coughing, sneezing, swelling, hives, difficulty breathing, or other symptoms, stop giving your dog peaches and consult your veterinarian immediately. How Should You Feed Peaches To Your Dog? You should always ask your veterinarian before giving your dog any kind of human food. Some dogs have medical conditions that could be worsened by peaches or other foods, so it is best to check before you feed them to your dog. They will also be able to tell you what is an appropriate amount of peaches to feed your individual dog in each serving. Once you have the okay from the vet, make sure you select and prepare fresh peaches that are free of mold and rot. You should thoroughly wash them, cut them into manageable pieces, and remove the pits, as well as any stems or leaves that may still be present. You can slice the fruit into small bits to use as a motivational reward during training, mix them with other food for a sweet surprise, or blend them with other healthy fruits in a fruit salad or smoothie. Again, ask your veterinarian before feeding your dog any other human fruits or foods. Do you ever serve peaches to your dog? How do you prepare them? Let us know in the comments below!